Make this immune boosting, blood sugar friendly juice in under a minute for you and your kids! 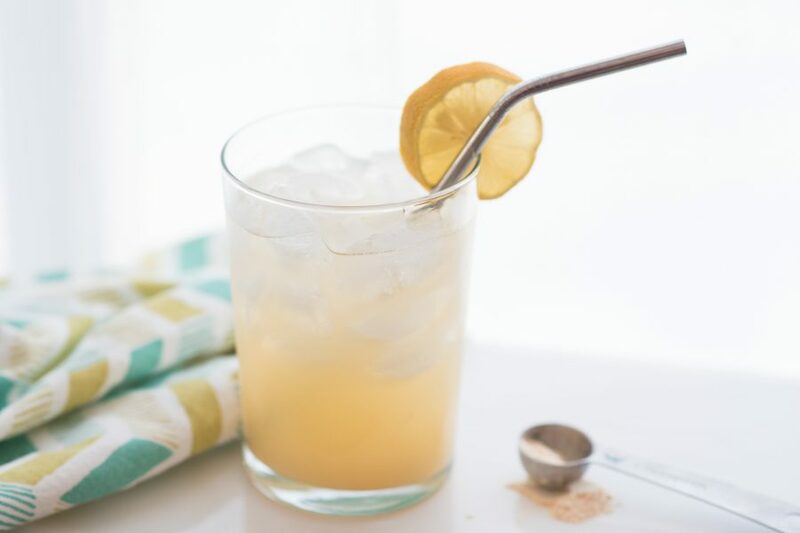 This is the all-day sipper recipe that Serene serves to her children and has shared on the "Poddies". The taste is great and may remind you of a "pineapple citrus lemony" sherbet! The THM Baobab Boost Powder is the "star" of this recipe. Baobab has more antioxidants than anything on the planet and has 10 times the amount of Vitamin C than oranges! The THM Baobab Boost powder will boost your immune system & nutrients to the next level! Continue reading about baobab’s health benefits below in the Recipe Notes. Squeeze the juice of one lemon into a tall glass. Stir in 1 teaspoon of THM Baobab Boost Powder and mix well. You can add a small amount of water at this time to properly mix and dissolve the baobab. Add one doonk of THM Pure Stevia Extract Powder and continue to mix well. Fill your glass with ice and then enough water to fill your glass to the top. Enjoy! Boost Juice is a one-of-a-kind health tonic that is perfect when you are sick and need a boost to your immune system, but is also perfect to drink everyday to keep you energized while boosting your daily nutrition! This drinks features our Baobab Boost Powder which is your multi-tasking, multi-vitamin and mineral supplement that you need in your life! And best of all it is 100% real food! Its citrus and sherbet tasting dried flesh has five times the fiber of oats, and higher antioxidant levels than any food on the planet (8 times that of the super berry Acai, and more than both blueberries and pomegranates combined!) It has more than twice the calcium of milk, double the magnesium and iron of spinach and is loaded with six times the potassium of bananas. Most importantly, Baobab Boost is a delicious way of boosting your vitamin C. Having a rich supply of this vitamin is a huge game changer when it comes to losing weight. Vitamin C depleted people are resistant to fat loss. Clinical studies show those with adequate vitamin C levels oxidize 30% more fat during exercise than individuals with low levels. Plainly put, vitamin C helps prevent weight gain and makes it easier to lose it. It also improves blood sugar levels and supports adrenal health (adrenal depleted people are often resistant to fat loss). Vitamin C also enables proteins such as collagen and gelatin to work more effectively and safely in your body.